WEBSTER CITY — Nathan Ferrell’s standing as the premier golfer on the Webster City boys’ team and one of the best in central Iowa is unquestioned. But that doesn’t mean his teammates won’t continue to push him. And that’s music to the ears of head coach Eric Dawson. 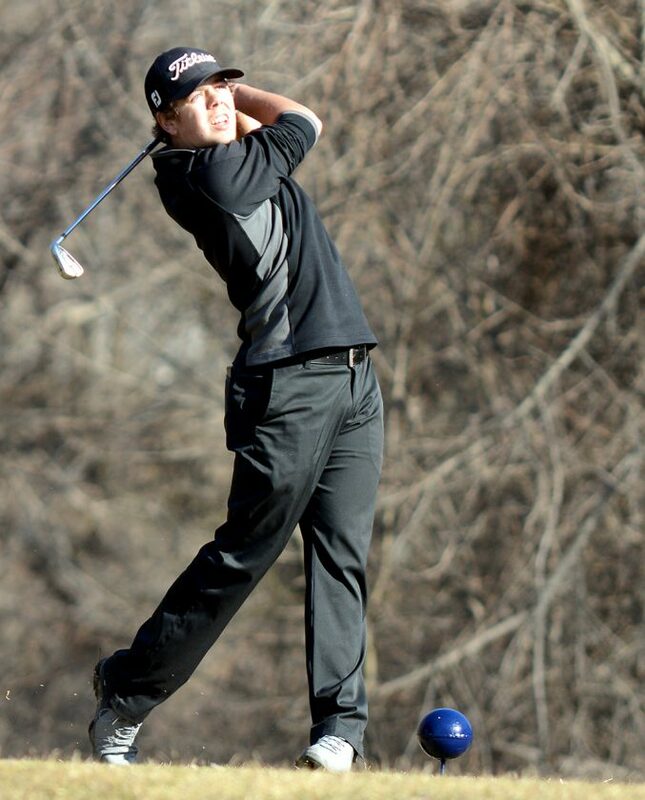 Ferrell, a two-time all-state player, kicked off his senior campaign with a medalist round at The Links on Tuesday and teammate Drake Doering was right on his heels in the runner-up position. They led the team to a 168 and a 58-stroke victory over outmatched Manson-Northwest Webster (226) on the flat par-36 layout. Ferrell had a pair of birdies en route to a 2-over-par 38. Doering (39) posted two birdies as well. Trey Lyons and Chase Rattenborg turned in counting scores of 44 and 47, respectively, for the Lynx. Derek Hartzler led the Cougars with a 54. Webster City (168) — Nathan Ferrell 38, Drake Doering 39, Trey Lyons 44, Chase Rattenborg 47, Devon Stoakes 50, Garrett Arnold 51. Manson-NW Webster (226) — Derek Hartzler 54, Derek Girard 56, Cort Jaeschke 57, Brock Mericle 59, Quinn Trice 61, Logan Crouse 67. Medalist — Ferrell (WC). Runner-up — Doering (WC).